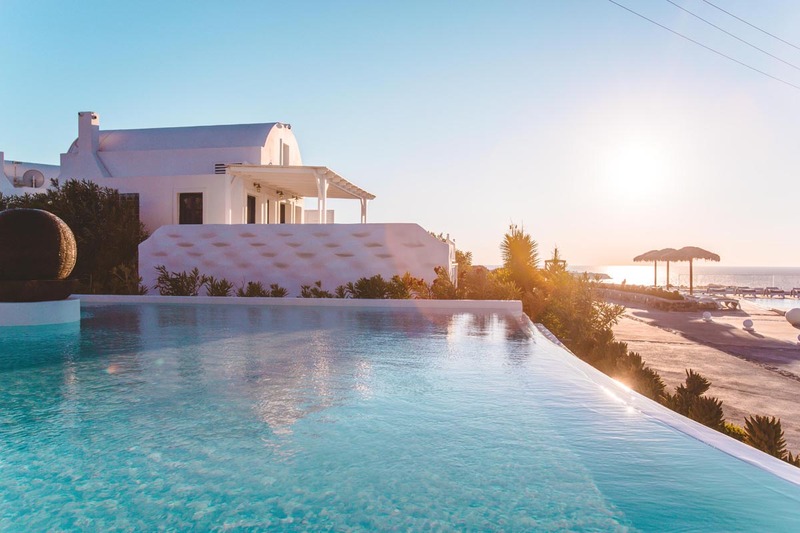 We loved staying at Oia Sunset Villas. The photos on their website did not do this place justice. It has one of the most amazing sunset vantage points. 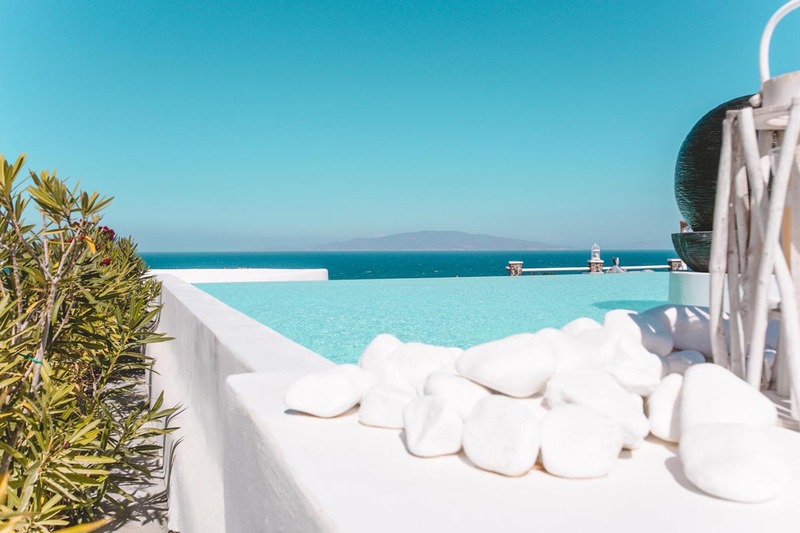 Situated on the edge of Oia Village, one of the oldest and most famous places in Santorini, this small boutique resort has everything one needs on offer. 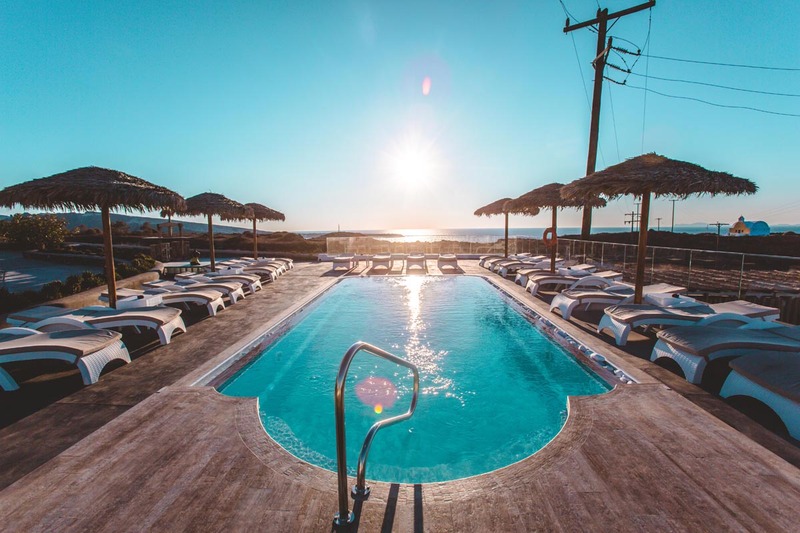 With two impressive pools, close proximity to the village with ample restaurants and a front on Sunset vantage point, it made for a most relaxing and rejuvenating stay. 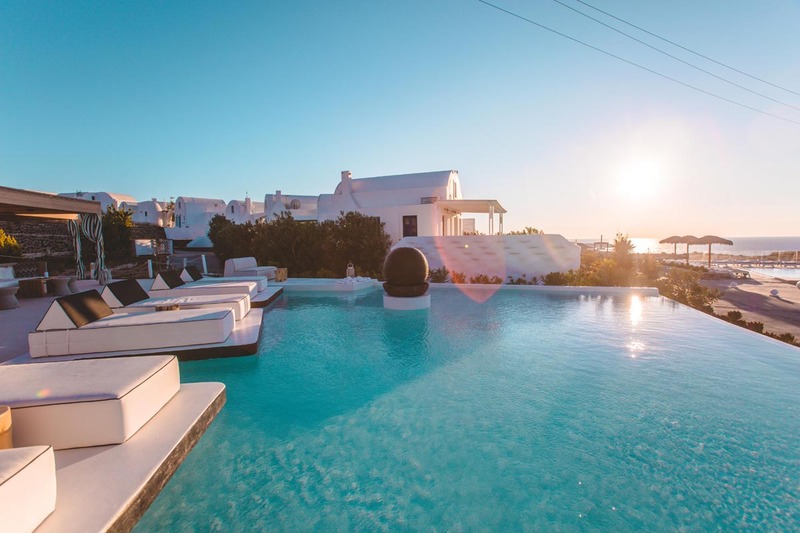 Oia Sunset Villas is a complex made up of comfortable and classically designed mini villas. 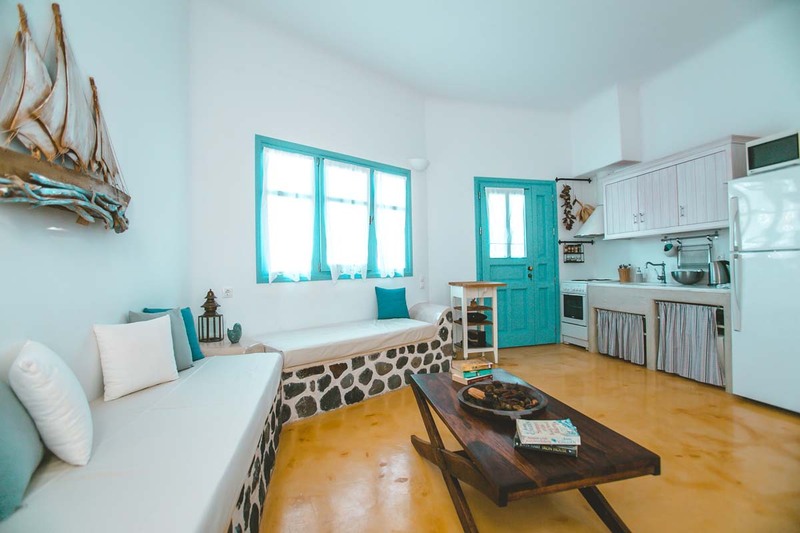 Inside the villas are decorated in a traditional Santorini style, with lots of blues and white, and though they look small from the outside, with a mezzanine and a full underground level including bedroom and kitchen, there is plenty of room to accomodate up to 4 people. We had everything we needed, including washing machine, dishwasher and kitchen supplies. We took advantage of the house breakfast, which included cereals, baked goods, tea and coffee every morning. You can tell reception what time you’d like this delivered and so your morning begins with a beautiful spread out on the veranda dining table. 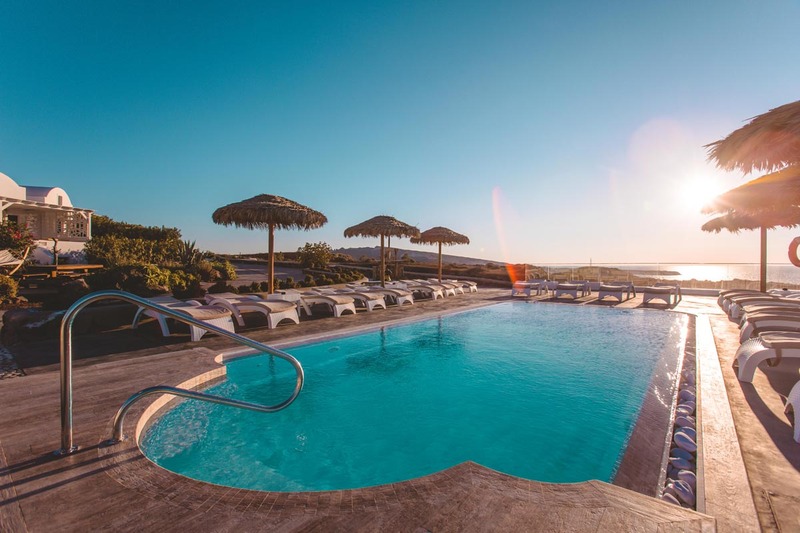 Beyond the breakfast, Oia Sunset Villas doesn’t offer too many food options, however there are ample restaurants just a short stroll up the hill. 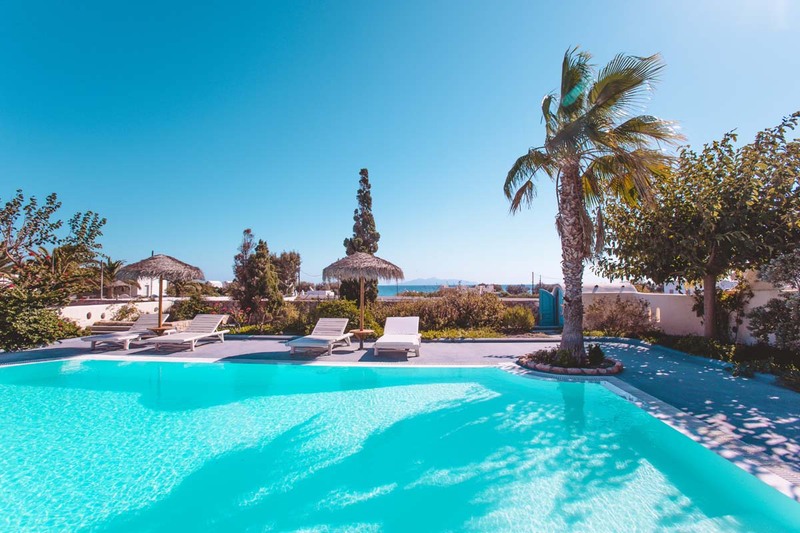 The resort grounds offer two beautiful and large swimming pools. 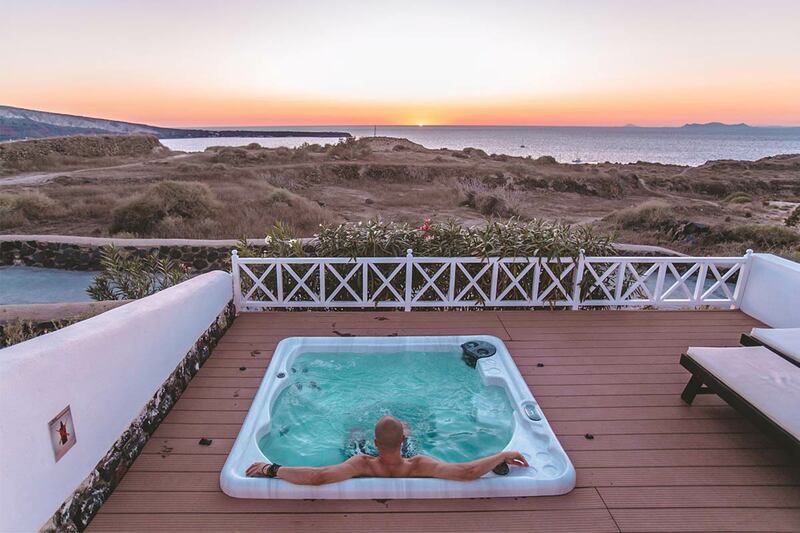 The highlight however is the private Jacuzzi that can be found on each villas front veranda. Watching the sunset from this vantage point was nothing short of heaven, highly recommended. 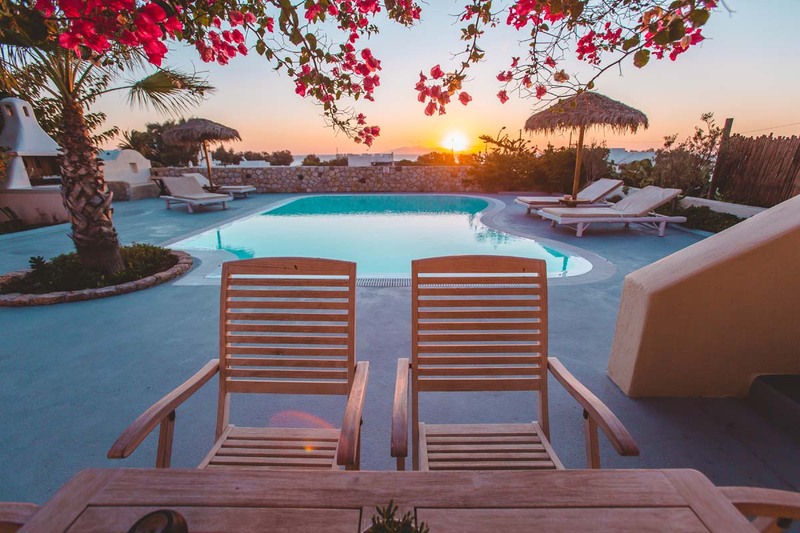 The staff at Oia Sunset Villas were exceptional. 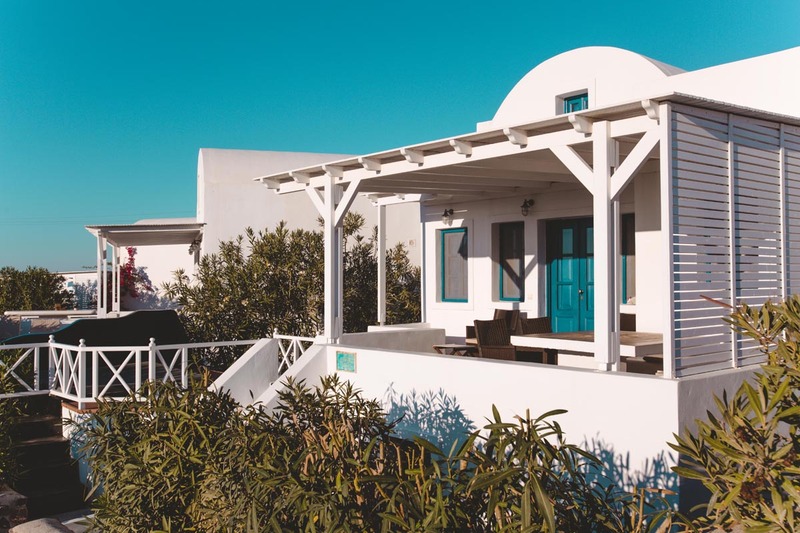 We had some issues with parcels being sent to the island and the receptionist took the time to call the Greek postal service for us numerous times to sort everything out on our behalf. Warm, forthcoming and friendly, we felt right at home thanks to the lovely people running the resort. Santorini internet is one of the worst in the world. 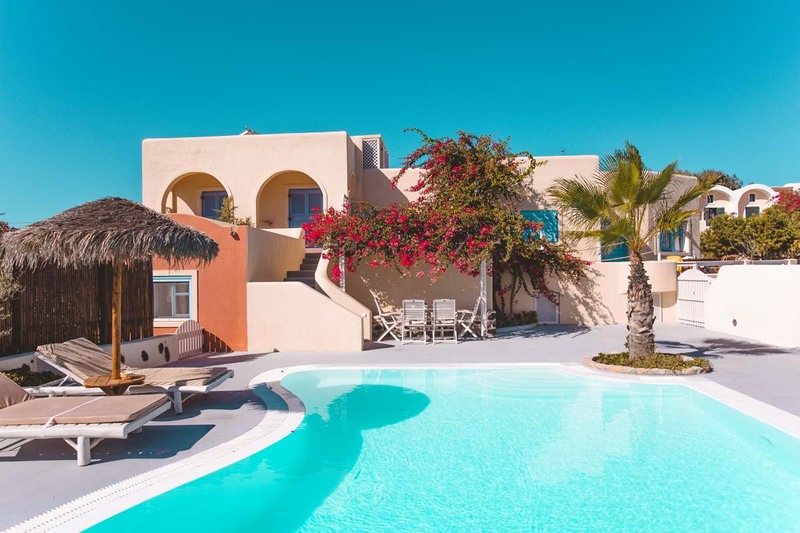 However we managed to get a decent connection in our villa, so we lucked out at this resort. 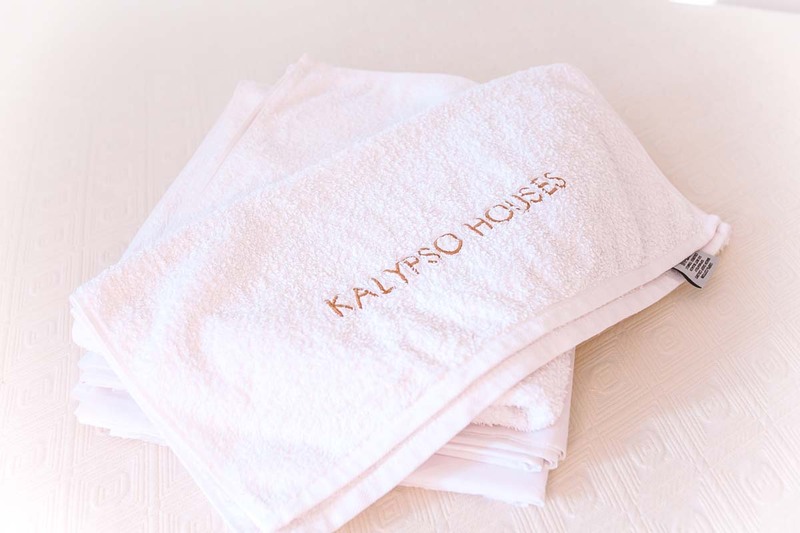 Our stay at Kalypso houses felt like entering a home away from home. 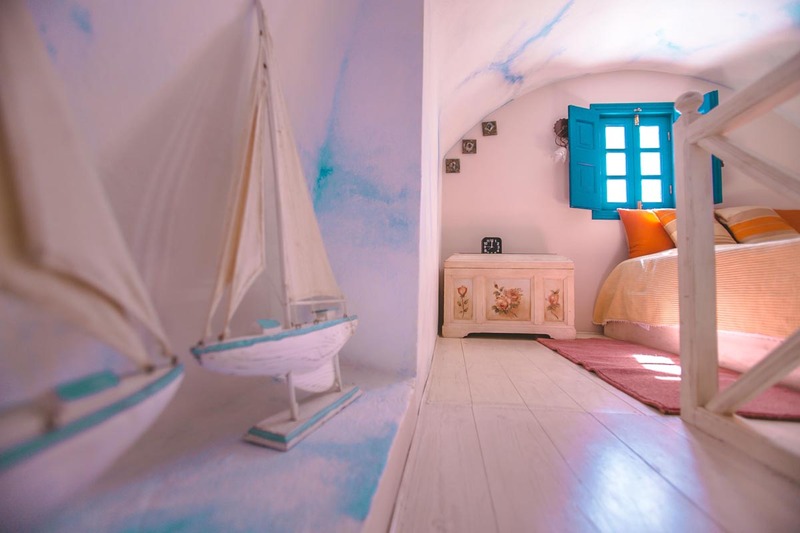 Built and decorated in the traditional greek style, this three bedroom house, which can sleep up to six people comfortably was a relaxing zen den for myself, Chris and my best friend Beth while we explored Santorini. 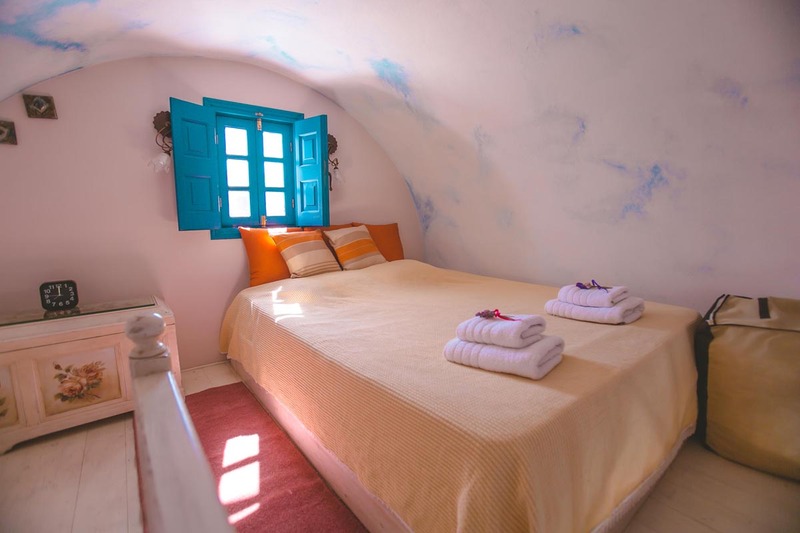 Located near the village of Kamari, the house actually backs onto Santorini airport. However, don’t let it’s close proximity discourage you, as we didn’t notice any planes during our stay and it didn’t bother us at all, perhaps because the planes fly without passing over. 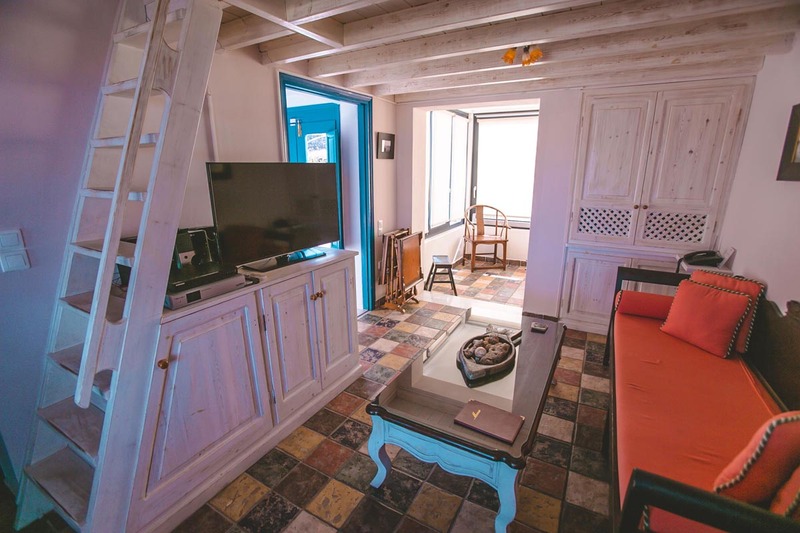 The house itself is very homely and is the perfect place for a groups of friends or a family to base themselves while exploring the island. We rented a car whilst there (you will need one) which made exploring Thera and Oia super easy and it was a drive to remember as we viewed the unique landscape and views from one of Greece’s most famous islands. 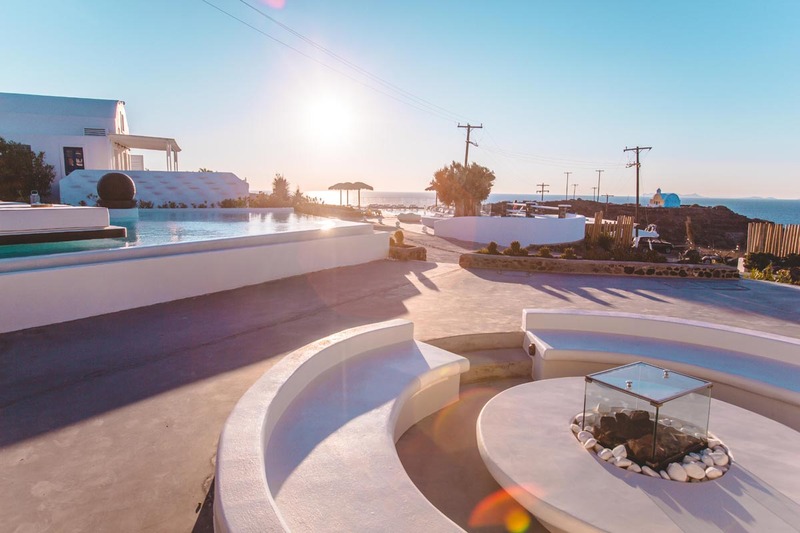 We had a great time staying at Kalypso and the staff were warm and extremely accomodating. 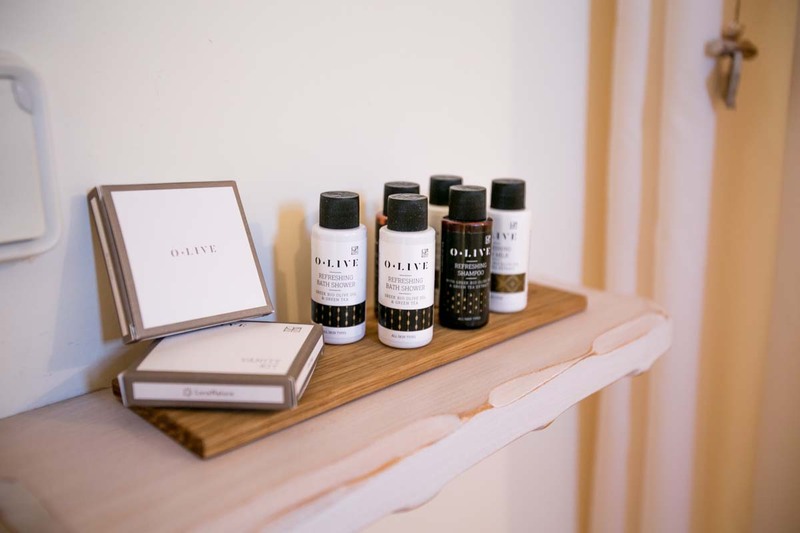 We made ourself at home in the master bedroom, which was located at the front of the house and had it’s own ensuite bathroom complete with mini hotel style guest toilettes, which was a pleasant surprise as most homes skip that luxury. The other main room was occupied by our friend Beth, who also had an ensuite bathroom and we had one more room free, which would have usually been the spare room or children’s room as it has two single beds, but being us we made use of the extra space and used it as a luggage room. 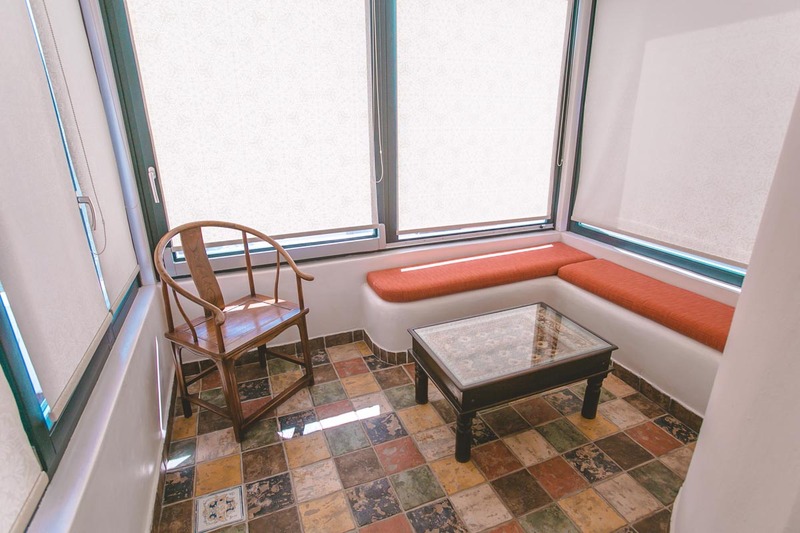 The rooms are all of generous proportions. 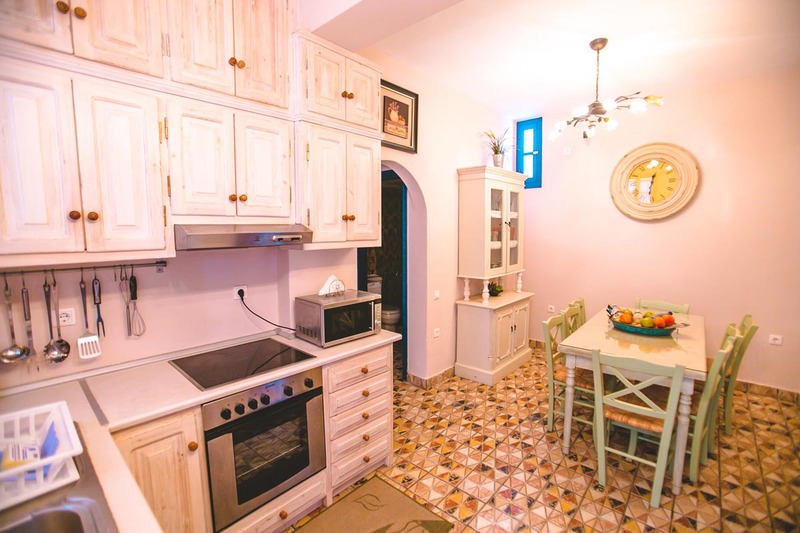 Kalypso houses has a fair sized kitchen, complete with a mini dishwasher and when we say mini we mean mini, it was probably the cutest and smallest we had ever seen. There are multiple cooking areas both inside and outside, which makes it great for entertaining friends and those who like to get creative in the kitchen. The house manager kindly drove us up to the local shop which had the essentials for breakfast, lunch and dinner. 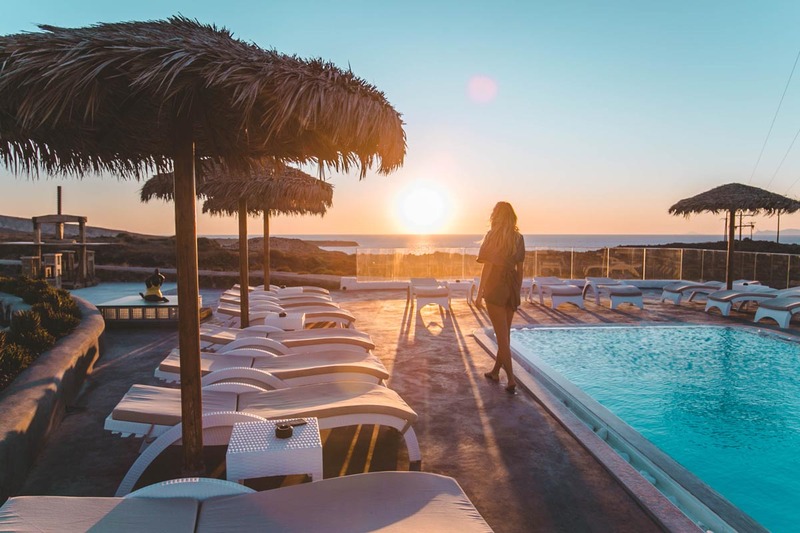 There are a few local restaurant and taverna’s close by, however it’s probably a little too far to walk to everyday, so we recommend getting a car for sure, usual cost per day is around 30-35euro. 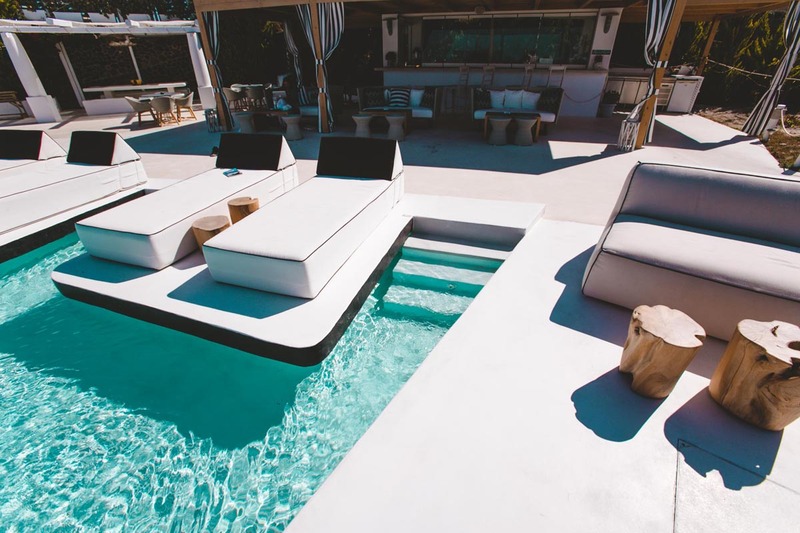 The house comes with everything you need. 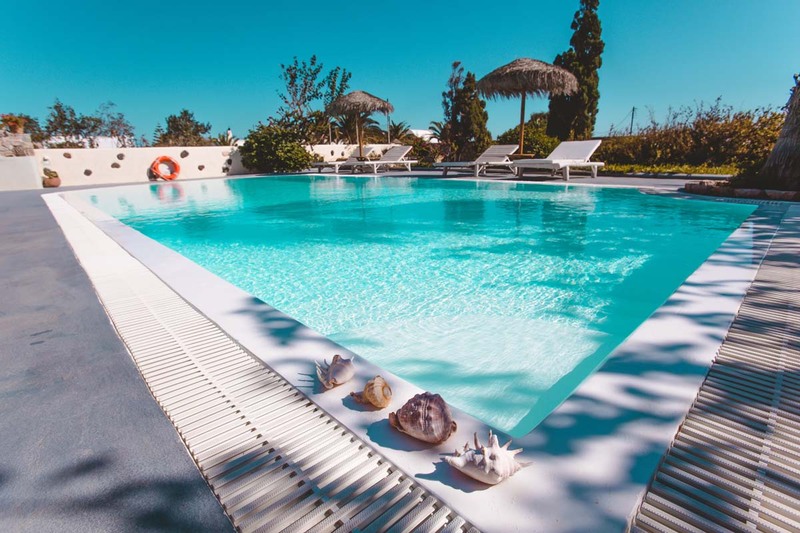 The biggest bonus of the property was our own huge swimming pool, complete with multiple sun chairs and chill out areas. 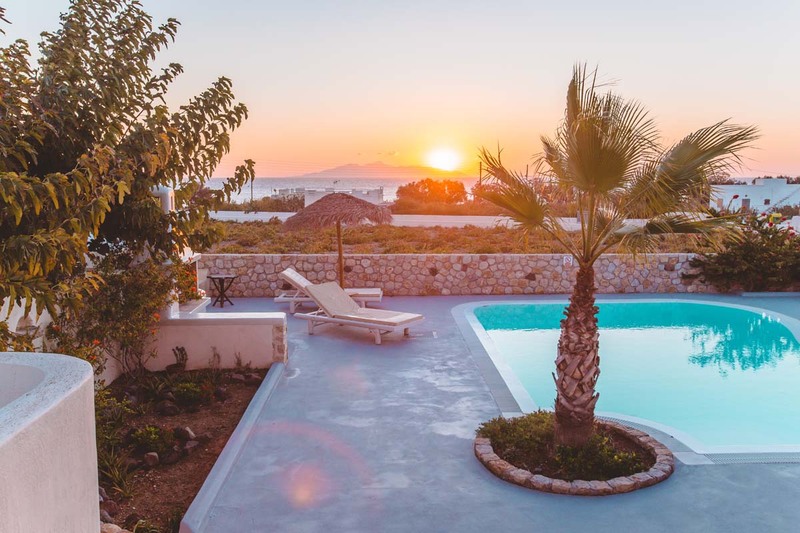 It’s not often you get a house and pool that size for just yourself around the world, so we leaped at the opportunity to get some rays and lounge by the pool most days. We also had our own deck out the back over looking the pool with table setting, which made for a great dinner and breakfast spot as the weather was perfect our for the entire stay, even though it was right at the end of the season in October. 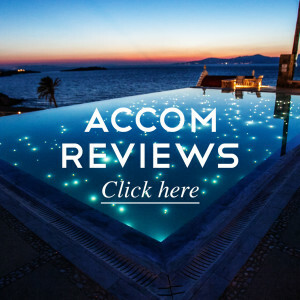 Our experience with the owners was really lovely and easy going. 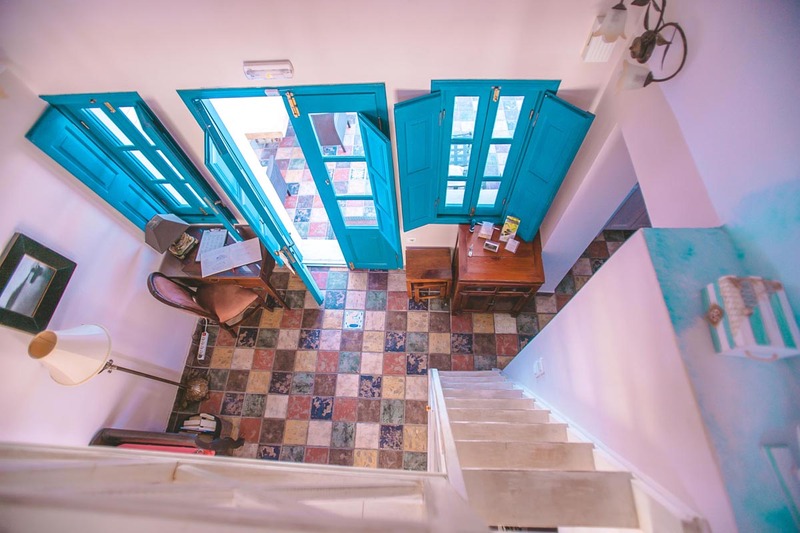 The house is part of a collection of properties on the property and there are two family members living in the surrounding houses, which makes it a very family orientated place and really homely. Santorini is rated as one of the slowest net speeds in the world, however you wouldn’t be able to tell here as our connection was really decent during the stay. I’m not sure how it would have performed if we had streamed a movie marathon while staying there, but for the basics of emails and social media we have no issues at all. #winning.